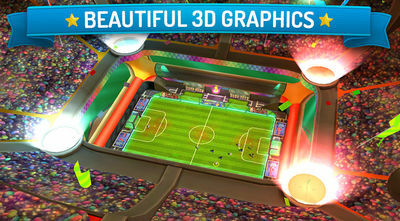 CN Superstar Soccer is an arcade and action sports game like none other! Play along your favorite cartoon characters and win the The Superstar Soccer Championship Cup! To do that you have to first free download CN Superstar Soccer APK, install it and then start the fun! - Face a variety of challenging cartoon characters in the craziest, most colorful championship you've ever seen. Choose your captain from 8 different characters straight out of your favorite shows: Adventure Time, Regular Show, The Amazing World of Gumball and Ben 10. - Test your soccer talents by playing against people from all over the world! 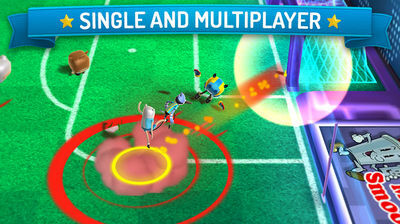 In multiplayer mode, no two matches are alike. Get your strategy ready and fight for the Championship Cup! - Superstar Soccer lets you represent your country and carry your nation’s flag all the way to the podium. Show your true skills and take the top spot!